Come join us on the high road. We’ve got our own special beer up here, High Road Blonde Ale, a sessionable ale that is complex yet approachable. Brewed with Galaxy and Wakatu hops, High Road swirls with the aromas of tropical fruit and notes of citrus. The flavor is clean and dry with just a hint of sweetness. 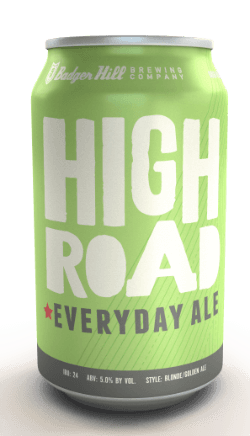 High Road Everyday Ale is an individual, just like those we brewed it for. Pilsner malt, American yeast, Aussie and New Zealand Hops.